This is another fun miniature from Reaper Bones. 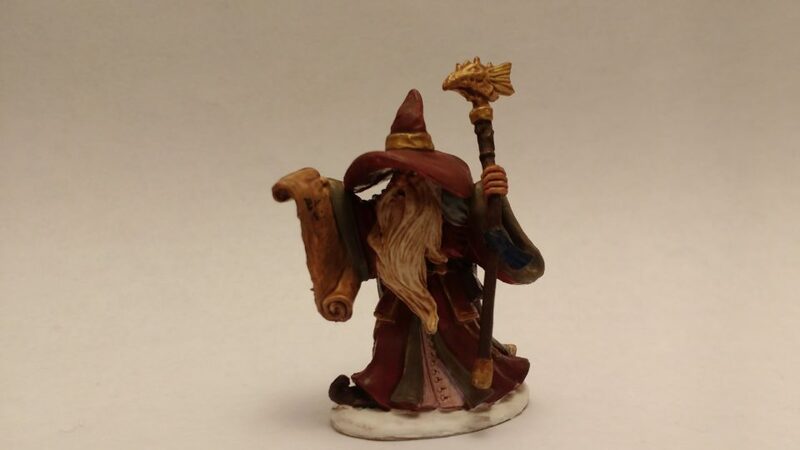 I painted it for use as an NPC in my Celestial Winter campaign but I could see it being good for any wizardly figure in future games. I was a bit apprehensive that Galladon would end up looking like Santa Claus with maroon as the primary color but fortunately I think I managed to avoid that comparison. I deliberately gray for the inside of the robes and soft colors for the cloak/under robes to dispel visions of Santa Claus. My micron marker flaked out on me in the middle of writing script on the scroll but I’ll likely finish that once a new one arrives. 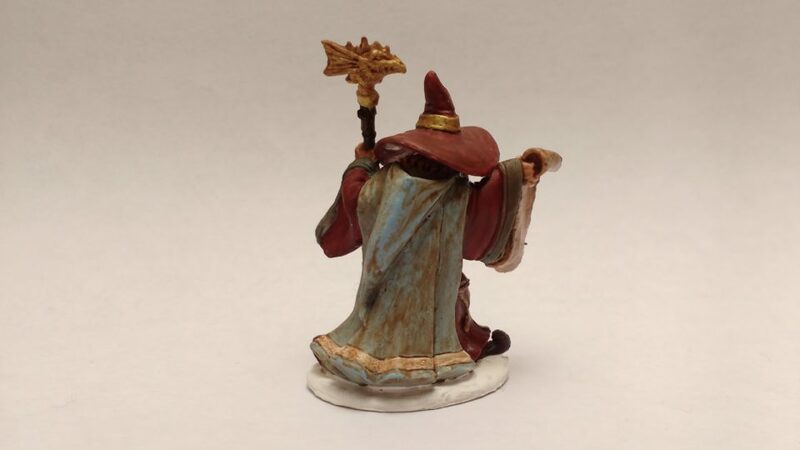 Also, the polyurethane come on darker than usual – which worked to the miniature’s advantage except for on the light blue cloak which came out looking muddied (far from a disaster). I finished up with a spray on matte finish.